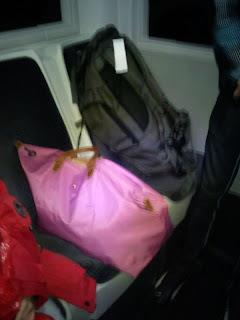 ...where someone's bags get to sit on the shuttle bus while people stand. Can you tell I'm annoyed? The people seated behind us on the plane kept bumping the backs of our seats. Hope the next leg of this trip goes better.